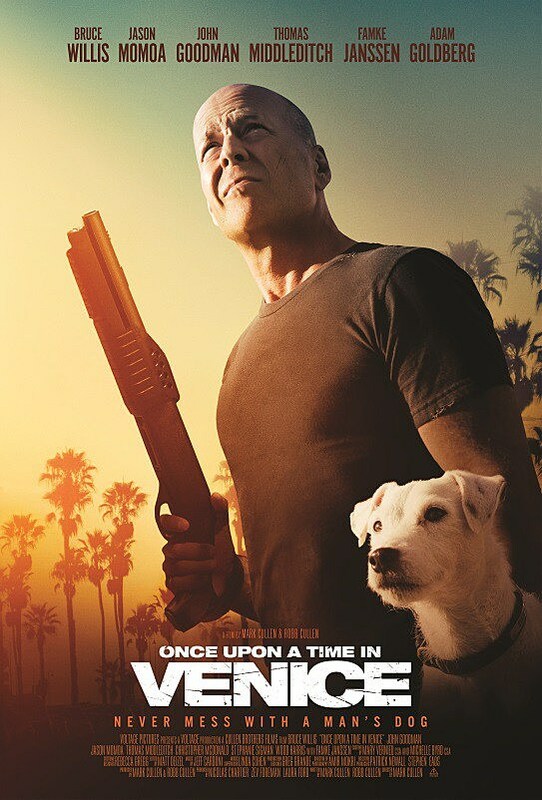 Man-hunts-down-other-men-who-did-something-to-his-dog seems like it’s become an action movie subgenre of its own ever since John Wick came out, and now Bruce Willis is trying out the trope, playing a private eye who goes on a rampage after his dog gets stolen by drug dealers. The trailer for Once Upon a Time in Venice is a pretty good time, evoking a kind of Shane Black action-comedy feel. And Bruce Willis is inching his way towards a gradual comeback with hits like Looper and RED, plus a movie like this that seems like it finds some humor in all the violence plays to his strengths. Willis is a funny guy. It looks very much like a B-movie, but the cast is nothing to sneer at: joining the ride are John Goodman, Jason Momoa, Thomas Middleditch, and Famke Janssen.